MEXIQUE – Xtojil - Archaeologists have found a dozen Mayan burial sites dating back more than 1,200 years at the Xtojil site, located some 20 kilometers (12 miles) from Chichen Itza in the Yucatan Peninsula, the National Anthropology and History Institute (INAH) said. Most of the skeletal remains were discovered in lithic tombs known as “cistas” (rectangular caskets protected and covered by stone slabs) that also contained some 30 ceramic pieces, two of which have hieroglyphs, the INAH said in a statement. 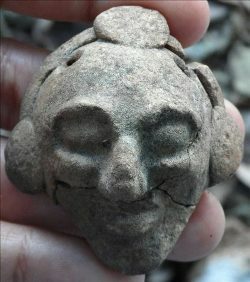 The find was made during excavation work to expand a highway in that region, the INAH said. The tombs were placed between 600-800 A.D., prior to Chichen Itza’s emergence as a great ceremonial and political hub in the northern part of the peninsula. 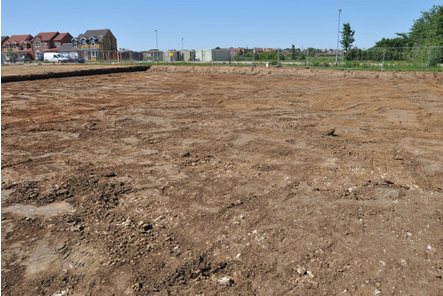 ROYAUME UNI – Navenby - A dig for Roman remains in Navenby hopes to reveal details of daily life in 1st century Britain. The village of Navenby lies on Ermine Street, one of Britain's most important Roman roads where previous HLF-funded surveys and field-walking finds close to Ermine Street in Navenby have indicated Roman settlements. Preparations and scheduling for the new project are now underway and it is hoped on-site work will begin in the Spring. The dig in 2009 revealed remains of buildings, believed to be shop-fronts with workshops and dwellings behind them. Further surveys and a test excavation suggest that similar remains could be found at the proposed site, again off Ermine Street. The site is unusual because it has never been cultivated and so archaeologists are expecting the finds to be near the surface and well preserved. Finds will reveal more about how the Romans lived, for instance how patterns of scattered pot could indicate dwellings or industrial areas. Evidence of habitation likely to be found on the site includes pottery, tessara from floors, coins, glass, perhaps pieces of flint, and oyster shells, which were a common source of cheap food rather than the high status food they are nowadays. 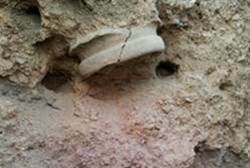 ISRAËL – Shilo - An ancient vase that provided evidence that Shilo was sacked by Philistines has been stolen from the Shilo site. Avital Sela, who manages the site, told Arutz Sheva that once the vase was discovered to have been stolen, a complaint was filed with police. 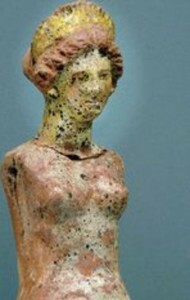 Sela explained that the vase, which was dated precisely to the year in which the destruction of Shilo was assumed to have taken place, "connected all of the Biblical pieces into one puzzle." The First Book of Samuel does not say when and how Shilo, which served as the Israelite capital for 369 years, was destroyed. The vase, along with remains of ashes from a fire, indicate large scale destruction at the same period in which the War of Even Ha'ezer (Ebenezer) against the Philistines was waged. Israel suffered a crushing defeat in that war, which is believed to have been waged near present-day Afek. The two sons of Eli the High Priest were killed, and Eli himself died upon hearing the news. Worst of all, the Holy Ark, which the Israelites had brought to the battleground, was taken by the Philistines. With the vase, archeologists and scholars now had more evidence to back the assumption that after defeating the Israelites at Even Ha'ezer, the Philistines advanced upon Shilo and sacked it. 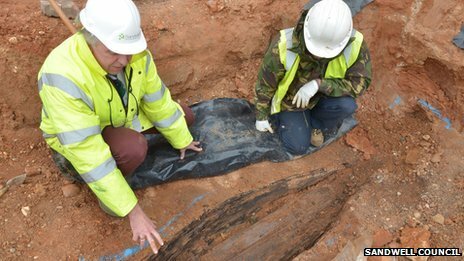 ROYAUME UNI – West Bromwich - Archaeologists have found evidence of grave robbing while digging at a 19th Century burial ground in West Bromwich. A team working at the former Providence Baptist Chapel site found a mortsafe - a metal cage fixed around a coffin to stop people stealing the body. Empty coffins and one filled with scrap metal were also discovered which archaeologists said was evidence of attempts to deter body snatchers. Sandwell Council's Museums Manager, Frank Caldwell said: "The body protected by the mortsafe belonged to a young woman who we found suffered from a disfiguring skin and bone disease. "It meant that her remains would have fetched a premium for the body snatchers and that would be why her body was protected by the mortsafe - her family were concerned that it would be stolen." Mr Caudwell said West Bromwich would have been a prime target for the grave robbers supplying the anatomy and medical schools that were being set up in Birmingham in the late 1700s. "The simplest method of protecting the graves was to employ a guard," he said. "However it appears from records in other towns that the money paid for a fresh body, which could be over £25, that these guards were often bribed to turn a blind eye. " Archaeologists also found a brick coffin where the body at the top was hiding a false bottom with another person buried beneath. Following the excavation, the remains from the 148 graves were removed and given a Baptist burial in Heath Lane cemetery. "We were not able to put names to any of the skeletons as the name plates from all the coffins would have been made out of cheap thin tinplate and had all corroded to dust," said Mr Caudwell. "One intriguing find was a musket ball in one of the coffins - we presume it contributed to that person's death but research has not helped us identify any shootings in West Bromwich at this period. Some secrets are literally taken to the grave."